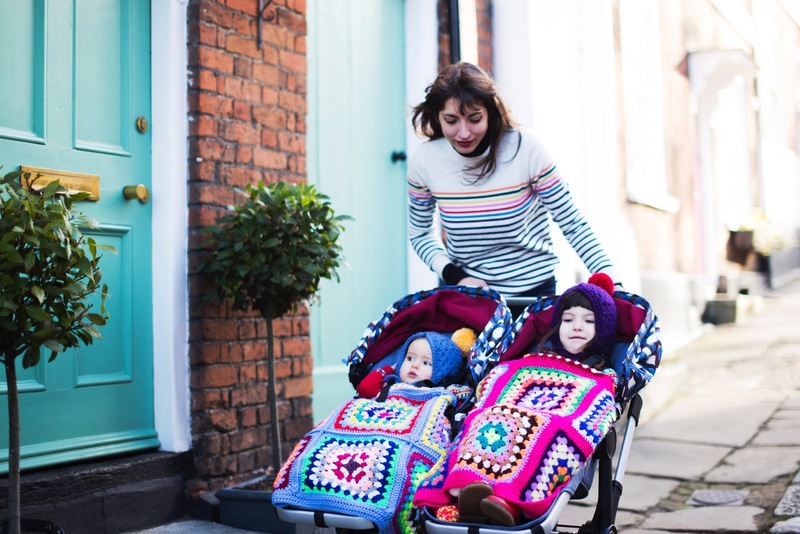 It may seem strange investing in a double buggy when your children are turning 4 and 9 months but I'm going to start off by saying that getting the Bugaboo Donkey2 has been the best thing we've ever done. 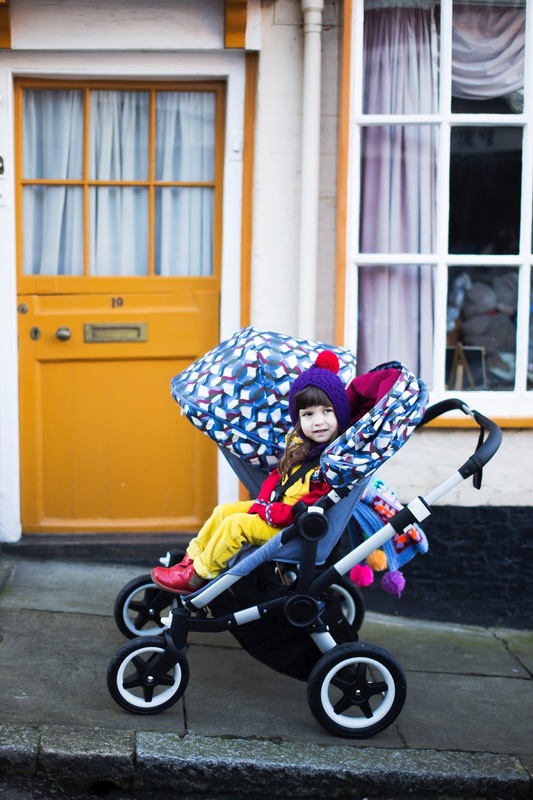 You may have seen that we trialled a stroller-type double buggy soon after Ted was born but being a complete and utter Bugaboo fanatic since the day I bought Ivy home, I have always opted for our Cameleon3 (seen here) with either the seated buggy board for Ivy or sling for Ted. With our mobility needs forever changing around Ivy's medical needs and Ted growing at a rate I just cannot comprehend(! ), we decided just before Christmas that on a lot of occasions, having a double we'd actually use may enhance our lifestyle 10 fold, and it certainly has. We've had the Donkey2 for a month now and from the moment I took it out, I fell very much in love with it. 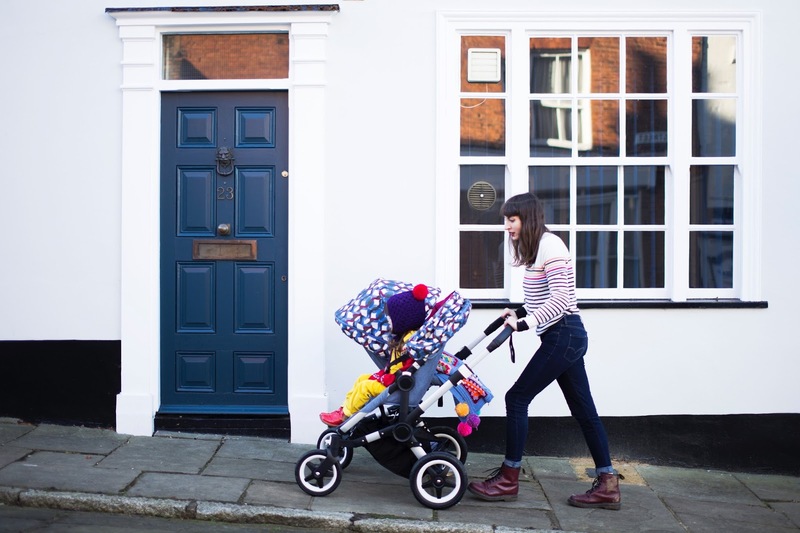 The immediate ease of use may be down to years of experience but there is no denying that the Donkey2 is everything from being much more versatile to simply being a much, much smoother push than any of the previous Bugaboo models prove it is their best designed travel system yet. This for me, and I'm sure to most other Donkey owners, is the best thing about this pram. For the first time ever, our travel system can click into a buggy that suits our needs in just a moment's notice. Our situation may not be typical of an average family but for any children with any age gap, there is a configuration to suit every eventuality. I love having them both parent facing for chats on busy roads and the way they look at each other when I've got one facing either way and I'm excited to get the buggy board adapter to get that back in action for the summer. With car seat adapters available and a bassinet in the box, the Donkey2 is perfect from the beginning of your parenting journey but then ability to convert the double back to a single eliminates the short-term use a double stroller offers with two different-aged children, so can take you right to the end of it too, so it gets my vote the best value for money pram on the market. I'm not sure whether it's weird science or pure genius design but I was certain I was going to have to make some sacrifices when it came to the size of the buggy and I was going to have to plough a wideload around the shops or stuff my kids into skinny little seats but unbelievably, neither of these have been the case. The Donkey2 fits beautifully through our 2 front doors in duo mode and Ivy, who is 97cm and anything between 15-18kg depending on fluid retention is in nothing less than comfortable, by her own admission. When it comes to taking the Donkey2 out and about, I can get the whole thing in the boot of my very modest Corsa which I still cannot get my head around. From that first push of the Donkey2, you know you are onto something special. The lightweight chassis and big, sturdy wheels mean getting the buggy around and about in all terrains is nothing short of easy. 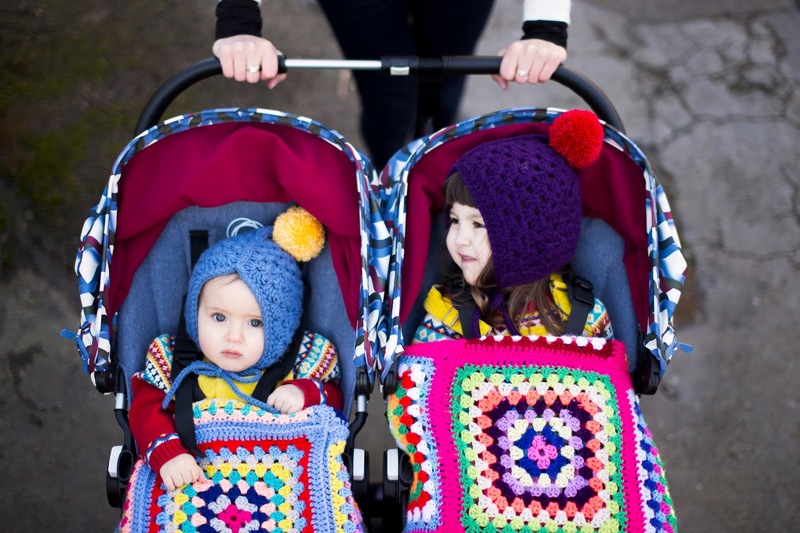 With our previous double, it was undeniable how the weight differences between the kids meant it was difficult to push the pram in just a straight line - this is certainly not a problem anymore. The Donkey2 practically glides round our town streets, can be steered with just one hand meaning the manoeuvrability ont this pram is second to none. For the past year or so, I have struggled to do our food shopping, restrained by whatever I can fit in a basket whilst pushing 2 children around with me which has meant I have been in a supermarket almost every single day of Ted's life. With clever underneath storage that adjusts itself to the size of the buggy you are using and the extra side luggage basket when I'm treated to a shop with only one of my little darlings, I can carry absolutely everything I need and much more. 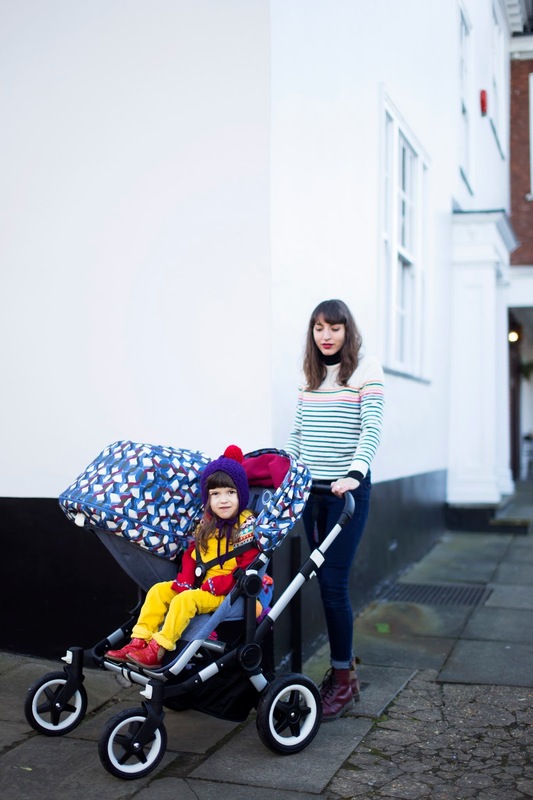 It's hard not to compare the models in the Bugaboo range, despite the fact they may not be designed to do quite the same job but in many instances, the thought and care that have gone into each and every detail in the Donkey2 mean that by comparison, there is no competition at all. 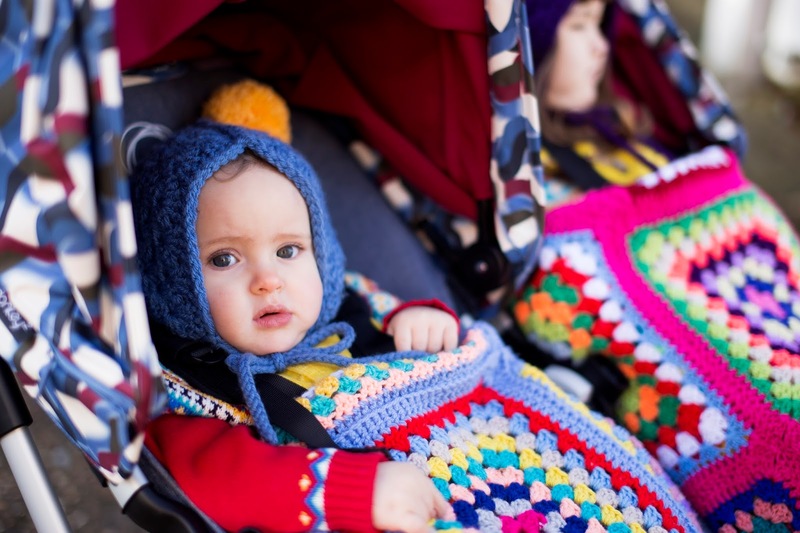 Leather handles, step-break, compartmented storage may not be things that will sway your decision when purchasing a pram but are all a part of the perfect package which makes this, for me, the best pram ever.